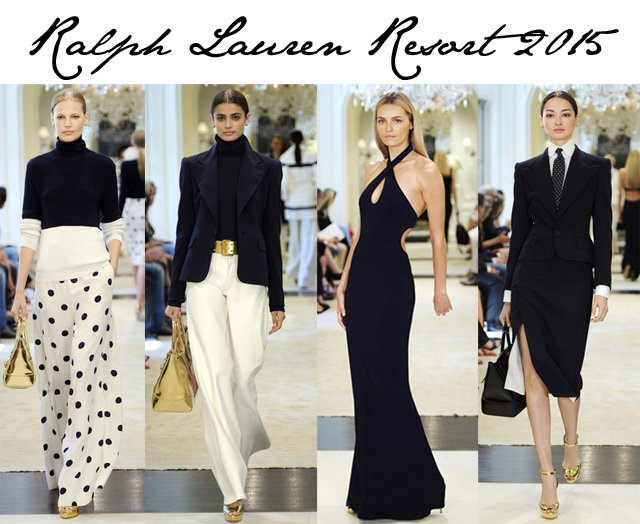 The day I stop writing about how phenomenal Ralph Lauren is, is the day that this blog shutters. That is just an absolute fact. My support for this brand is founded with great respect and admiration. Ralph Lauren has not just created a brand, he has created an entire way of life and it's one that I don't think many people would turn down living if they could. 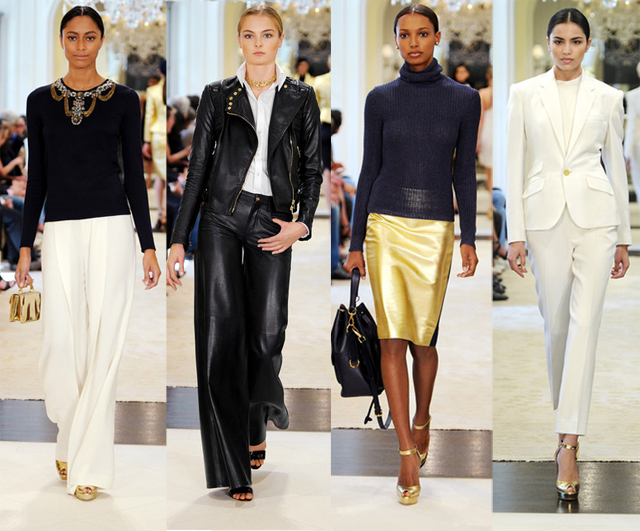 Ralph Lauren just gets luxury. He practically created the concept of American sportswear and his lines continue to hold true to a chic yet casual elegance while also surprising each and every lover of the brand with new looks every season. That is no easy task, folks. Very seldom has Ralph Lauren swayed from a certain aesthetic and yet the brand continues to thrive no matter the change in trends across fashion. 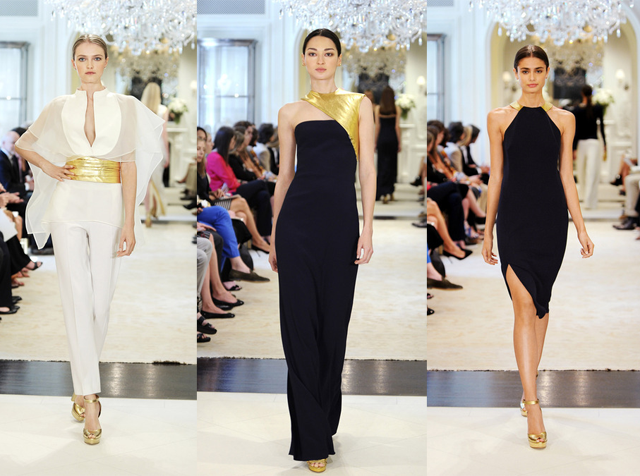 For Resort 2015, the rules of the Ralph Lauren game all remain the same. We see a woman that wears beautifully tailored trousers, slim cut dresses, and elegant evening gowns in the most simple yet flattering forms. Lauren also keeps things easy with a very limited colour wheel. We've only blacks, navys, whites and golds to work with. In fact, the sheer sophistication of the entire catwalk has made me reconsider ever adding colour back into the fold again.